All Guitar Playing Levels Welcome! Do you want to MASTER the guitar? Shred like your guitar heroes? Improvise over all sorts of chord changes? Want to know how Tapping and Arpeggios are done? Want to understand what ‘THE MODES’ are all about? Learn all the different types of scales and how to apply them in your guitar playing? Do you ‘cringe’ when you see guitar chords like: G13b5#9, D7b5b9 or Am7b5? Do you play already rather decently but are caught in a ‘rut’? You have never played guitar before but are FINALLY making your dream of playing guitar come true? Do you have questions about which guitar to buy? Which amp? What kind of pedals to get? How to chain effects together? Or program that Multi-Effects-Processor? 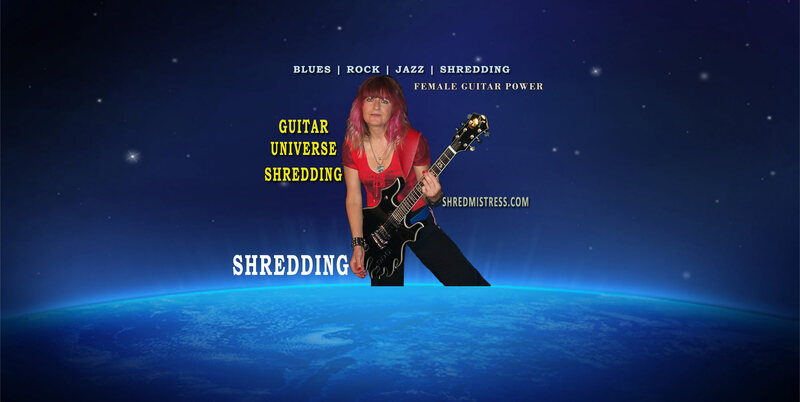 Huge collection of teaching materials available: Riff Interactive lessons, Lick Library, guitar videos by the great players, sheet music on CDs, books of your favorite bands – for example – Led Zeppelin, AC/DC, Jimi Hendrix, Steve Vai and many more. Lots of blues books / sheet music and videos. music theory books, tutorials about tempo, timing and rhythm, speed picking exercises, tapping, legato playing and much more. and have taught many students for the last 8 years. Being a session guitarist, recording artist and touring performer, I have played most styles in my lifetime and I love it all. For me, there are no limits to what I enjoy playing. Versatility has always been high on my agenda. From the Blues to Heavy Metal, to Funk, Reggae, Jazz… I’ve been called upon to play many different styles. So whatever your ‘favorite’ music type is, I can help you put that into reality. CD-roms and instructional DVDs, the fastest and most efficient way to improve your playing or start playing guitar from scratch, is to find a good guitar teacher, who, on a personal level, can help you make your guitar playing dreams become reality. 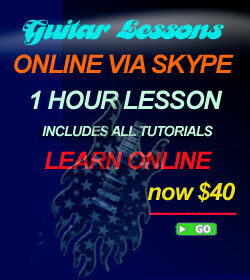 Most of the guitar greats have taken private guitar lessons (among which are guitar players, I am sure you admire). There is no substitute for a hands-on, custom tailored, tutoring program, that is made JUST FOR YOU!! and ‘one size’ does not fit all, unfortunately. Music is a very complex subject and guitar playing has evolved into a rather intricate and divers subject. I am here to help you attain your music goals and teach you everything there is to know about the styles of music you want to play. Good tutoring, well put together and comprehensive lessons, plus a willingness on your part to learn and practice, will get you there. are learning how to play guitar. The ‘girls only play acoustic guitar’ days are gone ladies.. now women are ‘shredding’ on acoustic and electric guitars. 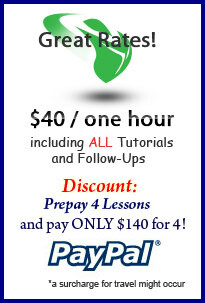 I teach acoustic styles, from finger picking to acoustic blues to folk songs as well as all the tricks and guitar gymnastics on electric guitars. No matter what your preference of guitar is, I can accommodate you. Rules are there to be broken! This is so true when it comes to guitar playing.Look at the most well-known guitarists of our time and you’ll realize that they have employed as many different ways and techniques to play guitar as there are roads to Rome…. not to mention pick sizes / materials / strength, string gauges, pickups etc. etc. How to hold the left/right hand, how to hold the pick, how to mute, which picking technique to use, on and on… It can get pretty confusing. Outside of the classical guitar realm, these days, anything can go. Bad Bad Habits ! ! and weed out any unnecessary ‘bad habits’ and yes, there are ‘bad habits’, do yourself a favor and take lessons from a qualified guitar teacher, who has played many of these techniques and can steer you into the direction that is right for YOU! Even though the guitar can be played in many different ways, there ARE ways which will make your guitar playing life a lot more difficult. Granted, you practice something long enough, you’ll probably become good at it. But.. it took some players 20 years to get to a place they could have gotten to much sooner if they had revised some of their ‘ways’. 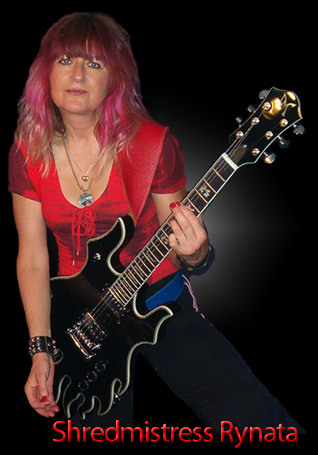 I am here to address those issues with you and make sure you’ll attain your guitar playing dream the best way possible.